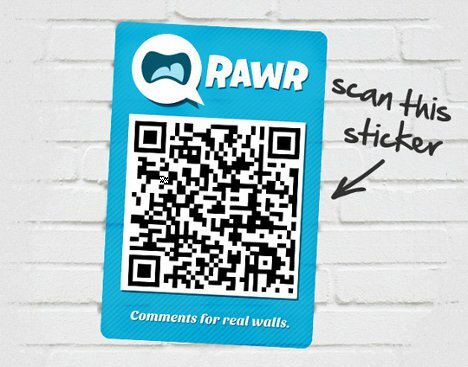 QR codes give smartphone owners a simple way to connect the physical and digital worlds. By scanning one of these codes, you are instantly sent to a website with more information about bands, products, places and whatever else you might want to know more about. 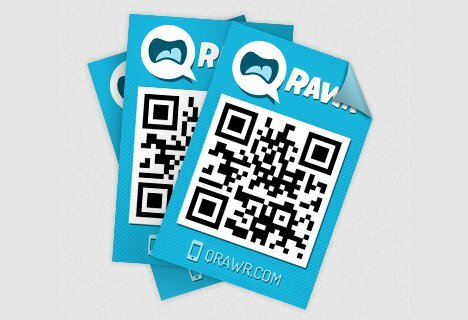 A new app called QRawr is putting a new spin on the QR code concept by linking codes to unique virtual discussion boards rather than websites. 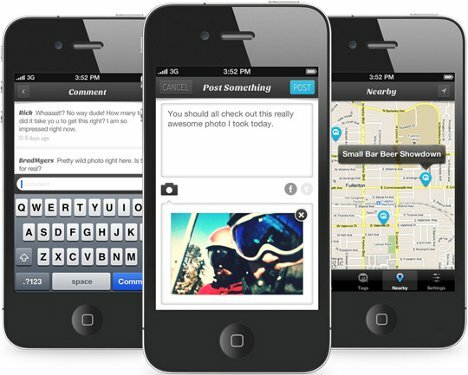 The app, currently available only on iPhone, lets customers, passers-by and visitors leave their own comments on just about anything. From architecture to specific pieces of graffiti, the stickers could invite conversation on all kinds of objects. It sort of begs the question: why use this method when there are literally hundreds – if not thousands – of dedicated websites meant just for people who want to sound off about their thoughts? Still, QRawr does give a nice twist to the more traditional modes of soliciting opinions. Plus it allows a greater amount of flexibility in the types of objects you can start a digital conversation about. The trick is to get people to use it – and when that happens, it could be a pretty fun way to share thoughts with local people. If you want to get your hands on some stickers, all you’ve got to do is Tweet about the company and you’ll have the chance to fill out a form to request some.